Founded in 1994, Babylon Design specialises in designing, building and maintaining private gardens. During the last 20 years Babylon has transformed over a hundred drab, barren and overgrown gardens into vibrant, beautiful and sustainable spaces to be enjoyed by their owners. Some gardens have been small courtyard gardens whilst others were country estates with dozens of acres. Peppard Creative were tasked with re hosting Babylondesign.co.uk website and email, we took this opportunity to also give the website a fresh lick of paint as the old website was a little long in the tooth and more importantly was not mobile friendly. 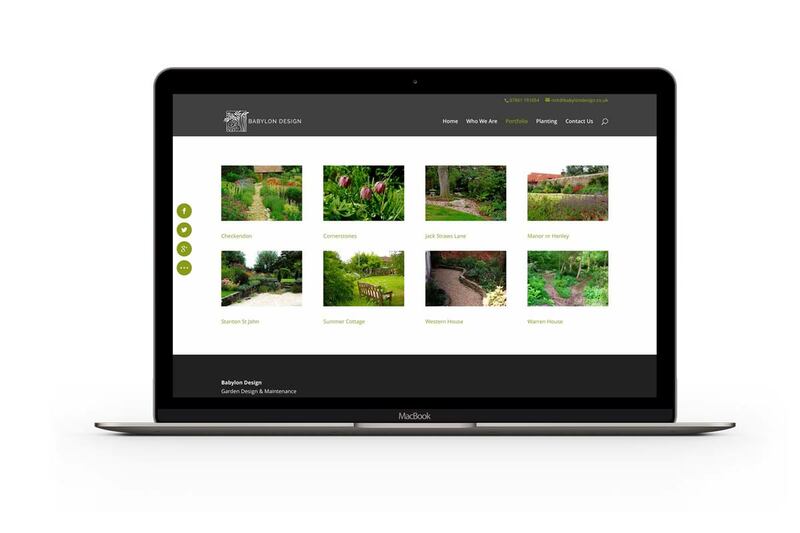 The client was able to provide a huge array of photos showcasing a number of their wonderful garden schemes which were also added to the new web design creating a wonderful portfolio section on the website.